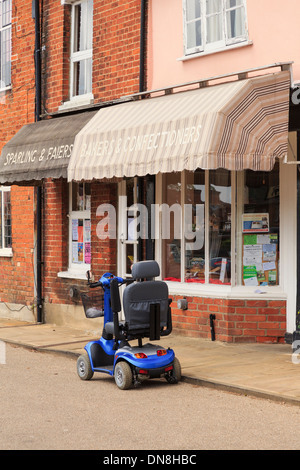 Mobility scooter parked in street outside a village local Baker's shop in Lavenham, Suffolk, East Anglia, England, UK, Britain. 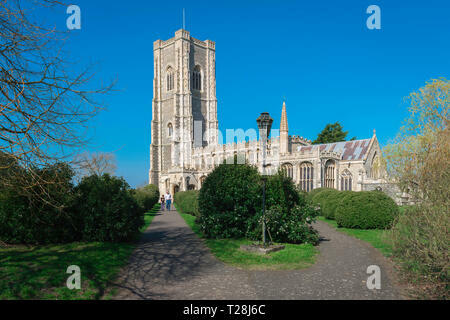 Lavenham Church, view of the late medieval (1525) Church of St Peter & St Paul in the Suffolk village of Lavenham, England, UK. 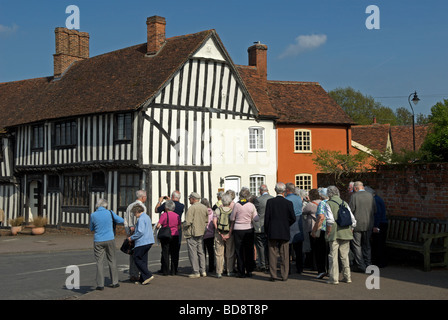 Group of tourists on a tour of Lavenham, Suffolk, UK. 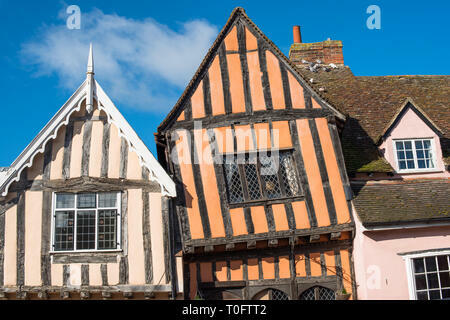 15th century Crooked House antiques shop and tearooms in quaint wonky crooked orange timbered building in High Street, Lavenham, Suffolk, England, UK. 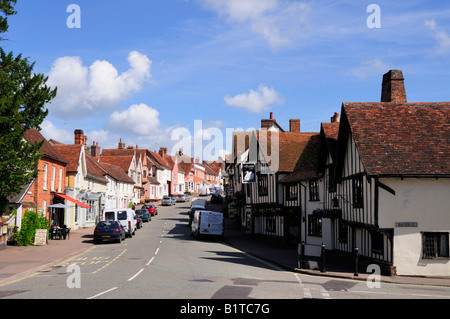 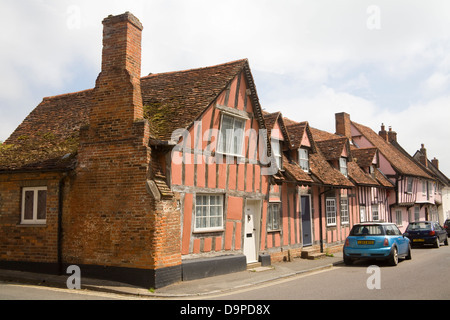 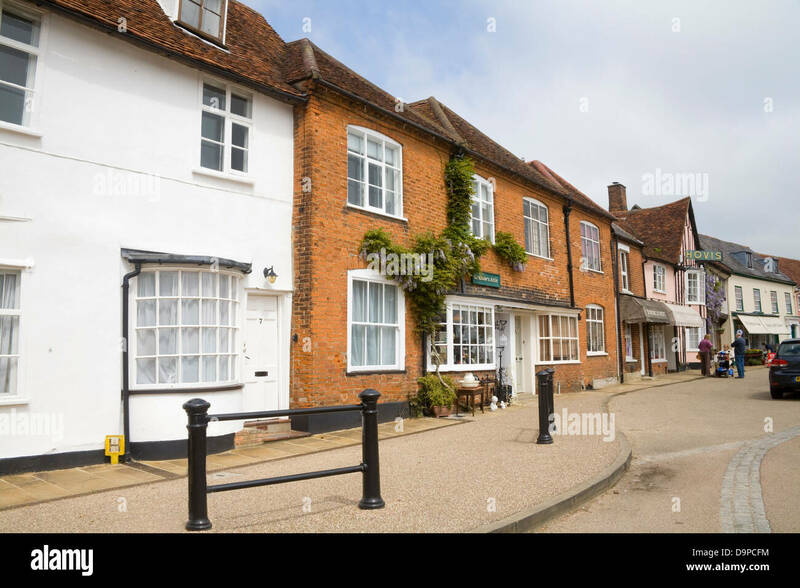 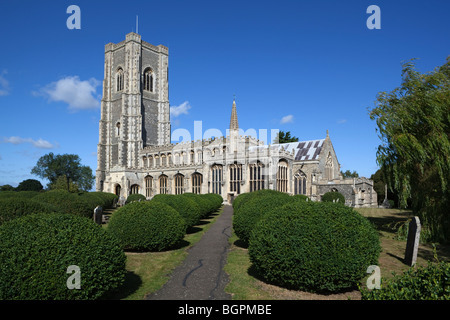 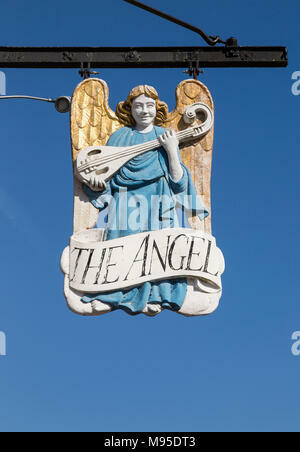 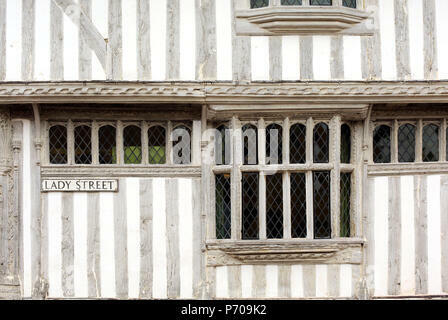 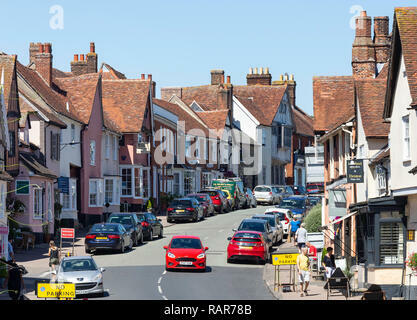 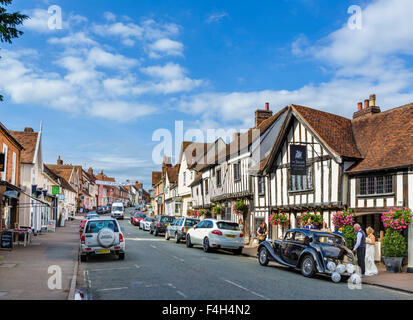 England, Suffolk, Lavenham. 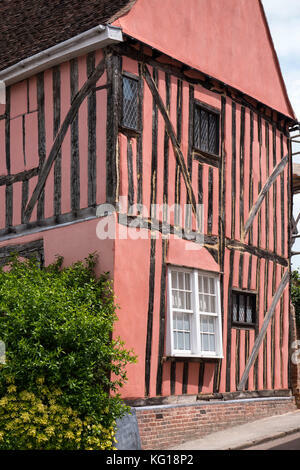 Historic timber framed building in the village.